May 12, 1936 ~ October 9, 2017 - She was a lover of beautiful things - music, art, flowers, and hummingbirds. She always loved reading. Our much-loved Mother, Grandma, Sister, Aunt, Friend — our Queemer, Ann Arlene Hall Volkman Howard, passed away in Spanaway, Washington on October 9, 2017 at the age of 81, at the home of her daughter Laura following a long illness. 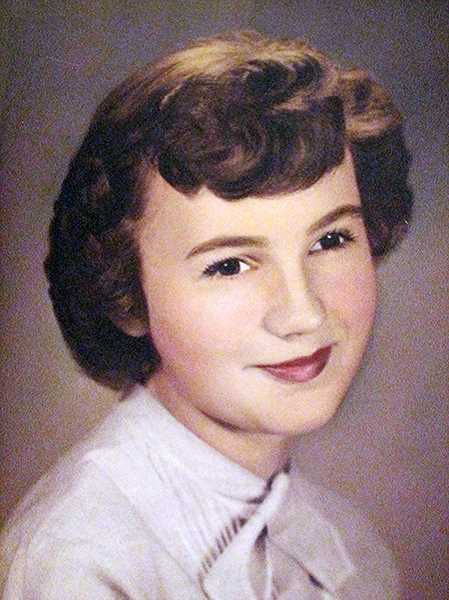 Ann was born in Grants Pass, Oregon on May 12, 1936, the youngest child of Floyd Lesly Hall and Zella Lee Hall. She graduated from Grants Pass High School in 1954. On November 30, 1957 she married David Volkman, with whom she had eight children. In her later years she married William Duncan "Bill" Howard on July 8, 2006. Ann was a member of the Church of Jesus Christ of Latter-day Saints and had a firm belief in the love of her Father in Heaven and his Son, Jesus Christ. She enjoyed her service in the church over the years, and especially the many wonderful friends she made in the various places she lived: Grants Pass, OR; Seattle, WA; Englewood, CO; Kent, WA; Tenmile, OR; Elma, WA; Odessa, MO; and Canby and Woodburn, OR. She was a lover of beautiful things — music, art, flowers, and hummingbirds. She always loved reading, and as her eyesight deteriorated she was grateful for her Kindle! At the end one of her favorite things was having a kitty to cuddle. Our Mom was one of the sweetest, kindest, most compassionate people you'd ever want to meet. Her family meant everything to her, and we will miss her until the day we meet again. Ann is survived by seven of her children; Linda (Paul) McFate, Laura Hall (Alan Alder), Louise Bell, Alex (Mike) Riley, Jonathan (Maria) Volkman, Carrie (David) Bishop, and Sarah (Aaron) Edwards; grandchildren Sari (Colton), Zella, Michael (Alisha), Bethany (David), Jason (Christine), Michael, Tommy, Christopher (Chelsea), Stephen, Olivia, Rachel (Stephen), Jonny, Craig, Evelyn, Eleanor, Joshua, Benjamin, Elizabeth, Euphrasia, and Matthew; great-grandchildren Kelsey, Adam, Jeremy, Lucas, Daniel, Hannah, Cedric, Delaenie, Abigail, Avelyn, and James; her sister Dorothy Hile and brother Edwin "Ted" Hall; and many nieces and nephews. She was predeceased by her parents, husband Bill Howard, son Craig Volkman, sister Wilma Brumitt, and nephew Terry Brumitt. A graveside service will be held on Tuesday, October 17 at 12 p.m. at Granite Hill Cemetery, 2551 Upper River Rd, Grants Pass, Oregon. In lieu of flowers, please donate to the charity of your choice.